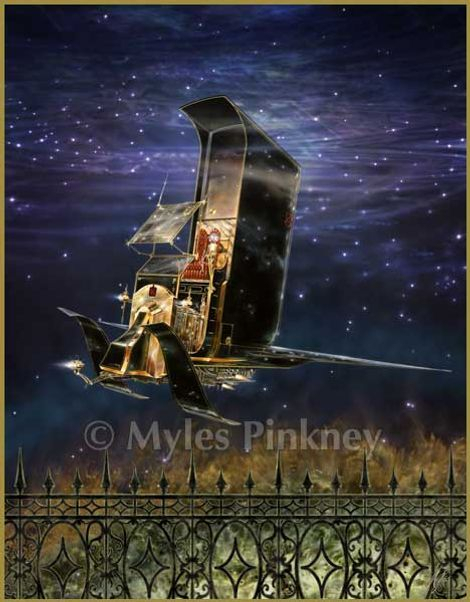 I find this piece so humorous and ironic - the Victorian space vehicle, nonsensically elegant with all its gleaming brass and red leather, with an added touch of the macabre (vampires, hearses). The small robot driver able to withstand the vacuum. And the traditional black wrought iron fence protecting a conspicuously inhospitable planet.